Life about young Vietnamese living in urban areas is the topic of new shows produced this year by television stations and film studios in Hanoi and HCM City. A 46-part series, Nguoi Phan Xu (The Judge), portrays the lives of young businesspeople who face challenges working in corporations. The series focuses on a group of senior managers who lose themselves in career promotion. Produced by Vietnam Television’s Film Company (VFC), the TV series captivated viewers when it started broadcasting in March. It has attracted some seven millions viewers on YouTube with each episode release. The series’ lead, actor Viet Anh, spent several months talking with young entrepreneurs in different fields, listening to their stories. Overcoming many rivals to land the role, Anh, a native of Hanoi, said it was a great opportunity to play the role of Phan Hai. Despite being experienced, he said he was still nervous because of the serious issues that the series feature. "Young businesspeople play a role in the country’s economic development during a time of globalisation. Their life and work are hot topics for Vietnamese youth,” Anh said. Người Phan Xu airs on Vietnam Television’s (VTV) VTV3 and is rebroadcast on provincial TV stations. Apart from VFC’s new series, every Wednesday, Thursday and Friday night on VTV1, thousands of enraptured viewers are watching a show about urban women. The 32-part series Song Chung Voi Me Chong (Living with Mother-in-Law) highlights the ambition of young women who work hard to balance their career and family. The series features women and their difficulties in balancing work and marriage. 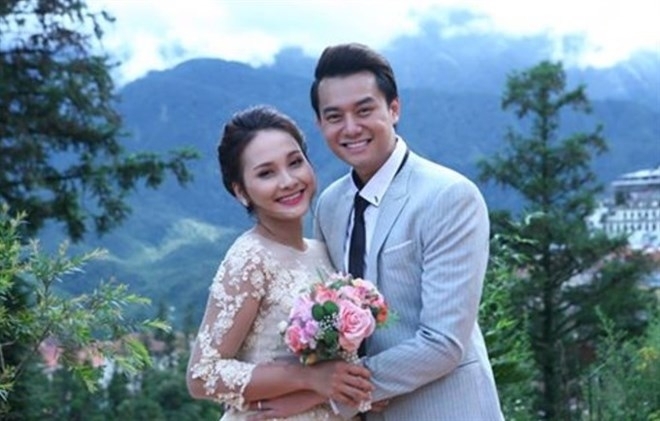 Directed by Vu Truong Khoa, the show is making waves with domestic audience with each episode attracting over ten millions of viewers on YouTube. Vu Thi Bich Lien, Director of Song Vang Producing and Advertising Company, said this year TV stations and film studios have invested in making quality shows to capture viewers, particularly young people. “We plan to produce 200 episodes this year while the number was 700 in previous years. We’ve worked carefully in choosing screenplays, directors and actors and have paid more money to improve production quality,” she said. Thuy’s latest project, Ho So Lua (Black List), a 1,110-part series, is co-produced with Cong An TP HCM (HCM City Police) newspaper’s film studio Nguoi Bao Ve (Guardian). The series is about the challenges and conflicts in work that police face daily. It focuses on their lives and sacrifices. Its screenplay was written by Lai Van Long, author and reporter at Cong An TP HCM, who spent more than 25 years writing about the criminal police. The filming began late last year. The first part, Mat Danh Đ9 (Code Đ9), was directed by Vo Ngoc and stars young actors Binh Minh, Khuong Ngoc, Hoang Phuc and Vo Thanh Tam. It aired last month on Today TV’s SCTV14 and left a very strong impression on audiences. The HCM City-based drama actor Cong Ninh believes urban youth and their issues are hot topics among filmmakers. 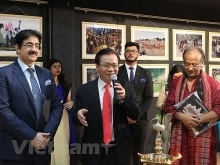 Ninh said that to lure audiences away from Korean and Indian productions, both State-owned and private filmmakers should give priority to such new films.